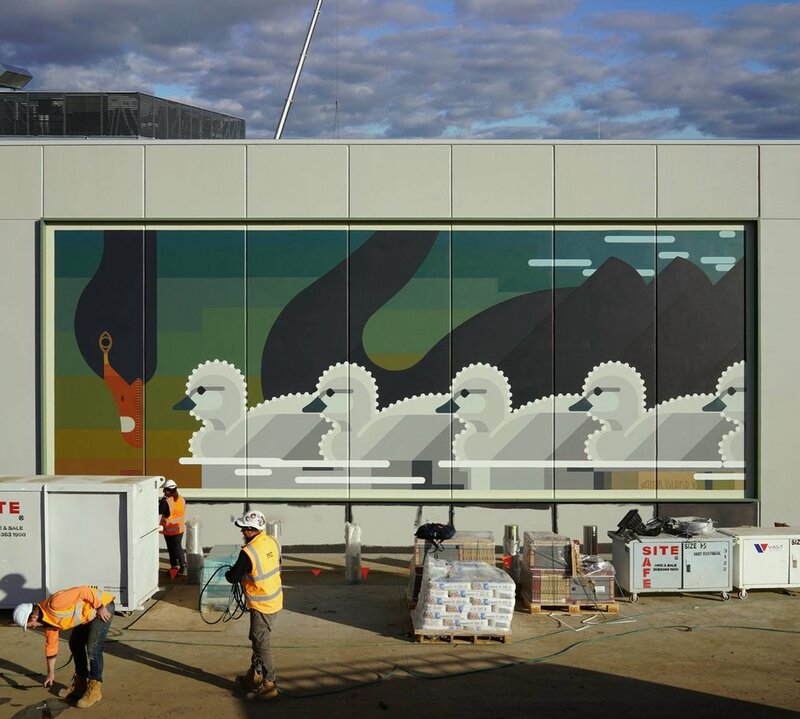 Adelaide, South Australia 2019 ‘Beware swooping birds’ Commissioned by Renewal SA. 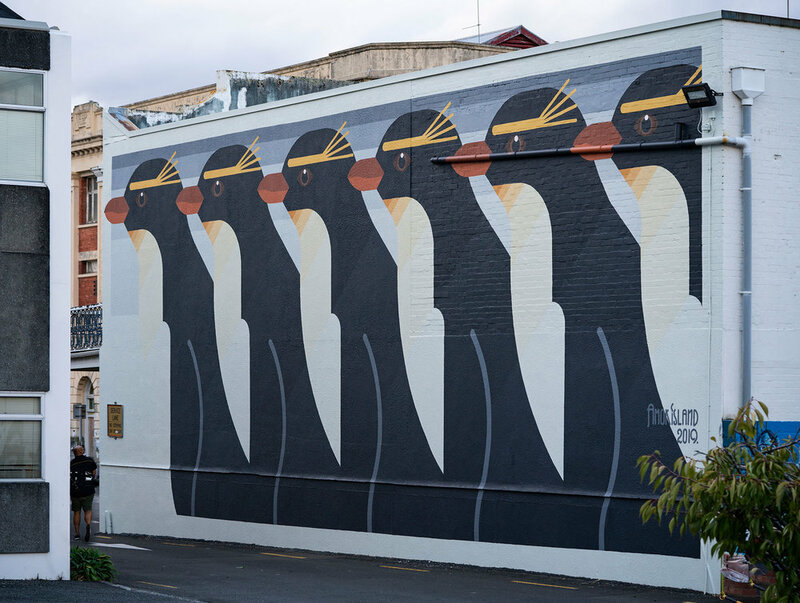 Whanganui, New Zealand 2019 ‘Sulphur Crested Penguins’ for Whanganui Walls. Perth, WA Australia 2018, ‘Major Mitchell Cockatoos’ Commissioned by Entech.